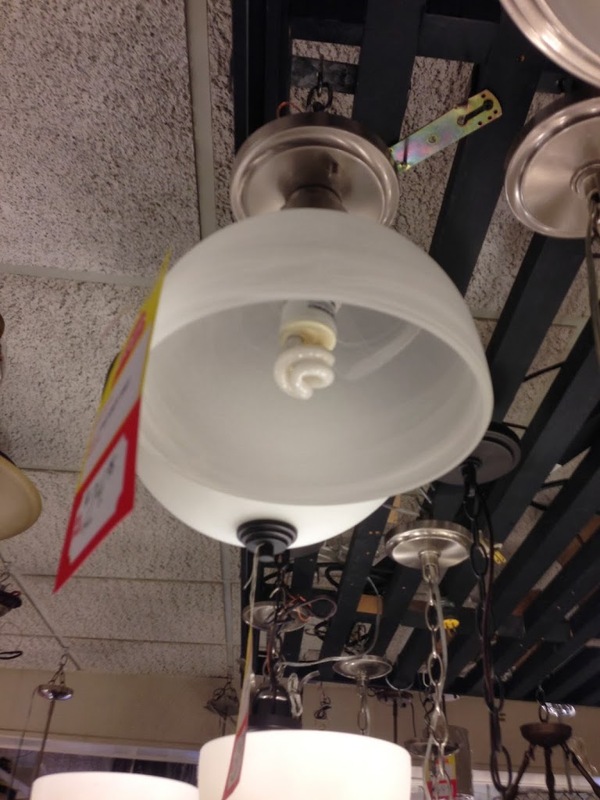 Home > Uncategorized > Let there be light! By far there have been two daunting exercises in this house build and design. 1) The kitchen. Enough said. 2) All of the lighting. I can design a bathroom standing on my head while whistling but picking out every single light fixture in the house in one sitting? THAT was a challenge. It was made worse by the fact that we had a stomach bug go through the house over Christmas and we had babysitters lined up for Lillian so we could go do everything…and then we had to cancel. That meant this last Saturday while Lillian napped we left her with my parents for a couple hours and spent 2 solid hours doing it all. Yes. You read that correctly. 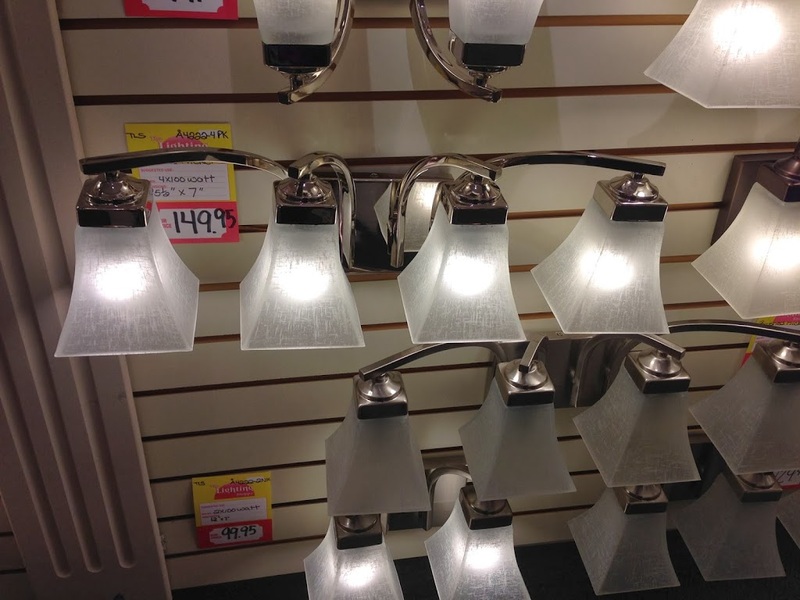 In 2 hours we picked every light fixture in our home. And I have the pictures to prove it! This light is our dining table light. I wanted something that was a show piece. It is modern and different. I love that the lights match the island lights (below) and that it takes regular bulbs and can be dimmed. It drives me crazy to be eating dinner and have this blazing hot light overhead. This one will be visible from the kitchen and the back of the livingroom so we needed it to be multi space functional. I love it. This one is really hard to see but it is a hanging glass light that will hang with its match over the island. 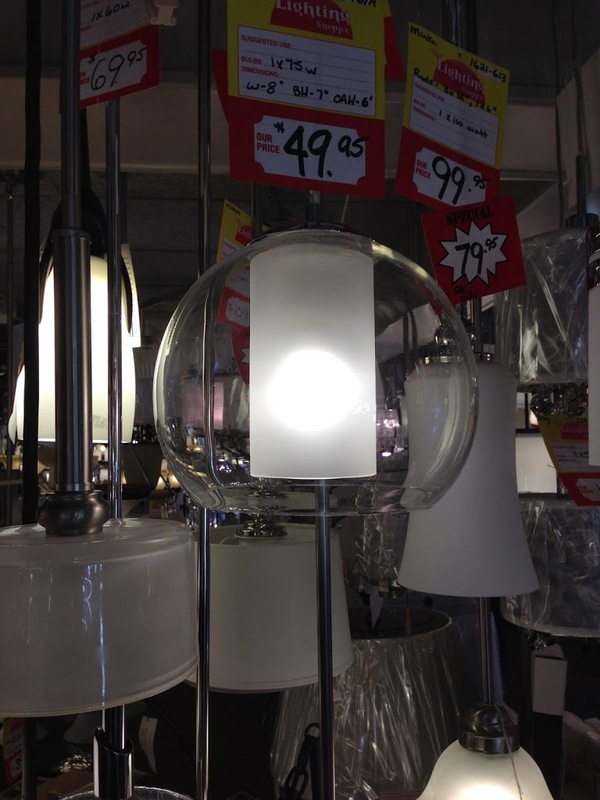 It has the same metal finish as the dining light. A little industrial looking which we love. The light for over the kitchen sink. Same lines as the island lights. Same finish. The next three pictures are the master bedroom and ensuite. The grey light on the left is for over our bed. Still can’t decide if I want grey or white with it. The room will have lavender grey walls but I am undecided. Hoping when we chat with our interior designer I will be able to figure it out. 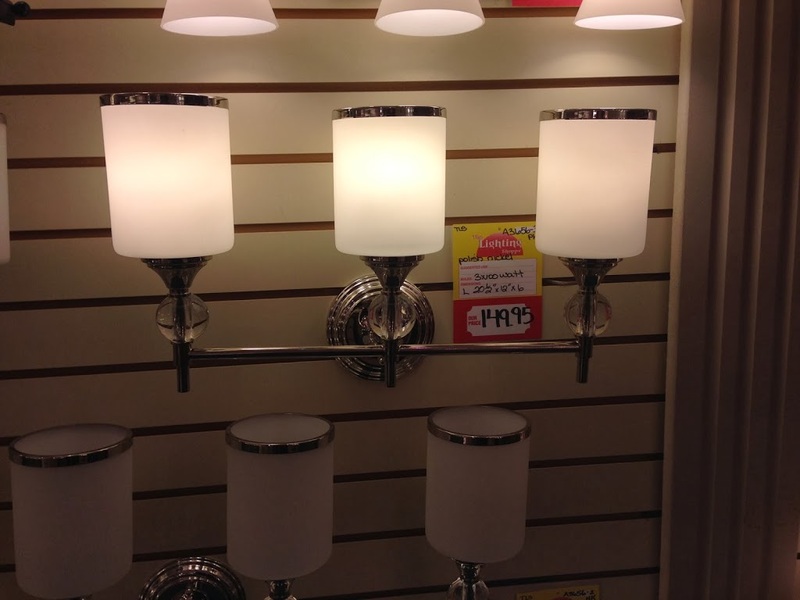 The light on the right is for over top of the massive, beautiful soaker tub I will have. It has glass detailing, as you can see on the shade and on its base. As per below. 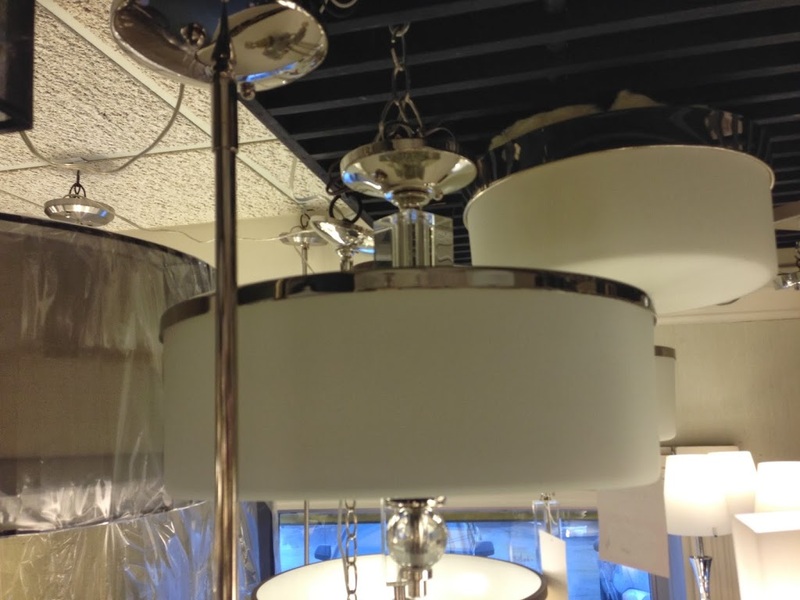 These lights below match the above circular bath light and will be our vanity lights in a four bank instead of three. 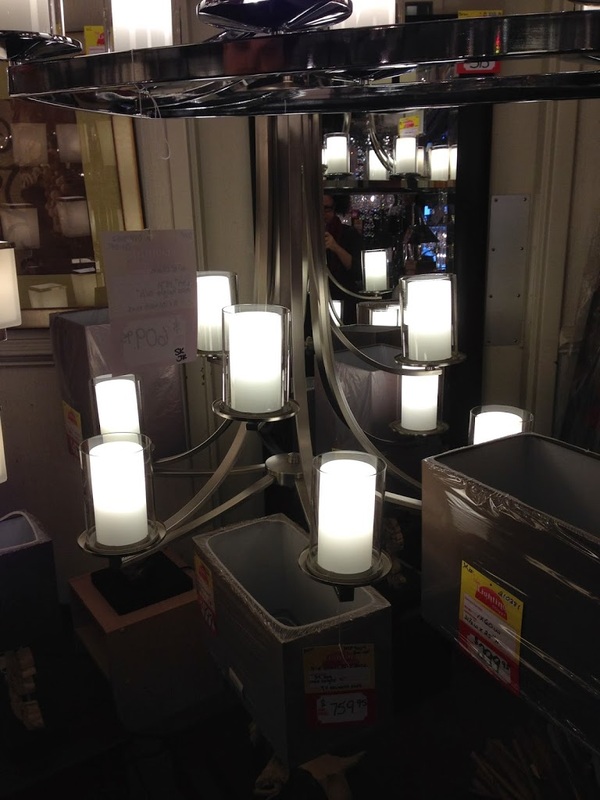 Above are the vanity lights for the other bathrooms in the house. Simple. Clean. Same finish but a little more scaled back. 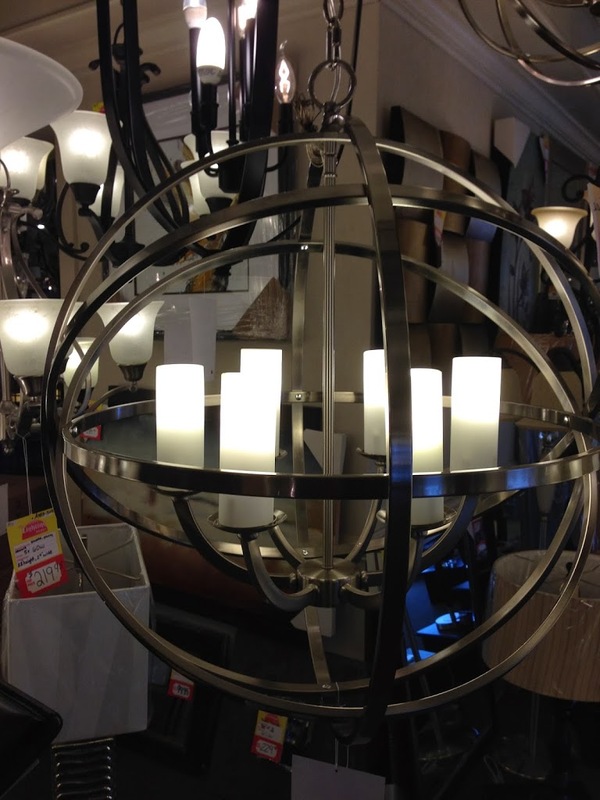 This big guy is what we call “The Grand-Daddy.” We have a two story foyer and this beauty will be our foyer chandelier. This photo does not do it justice. 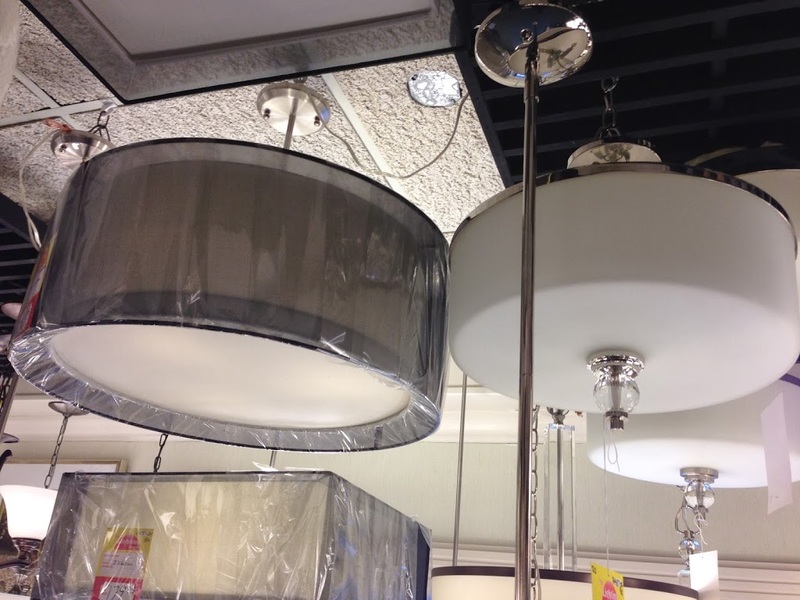 Large, 9 lights, frosted class with metal finish much like the kitchen and dining. 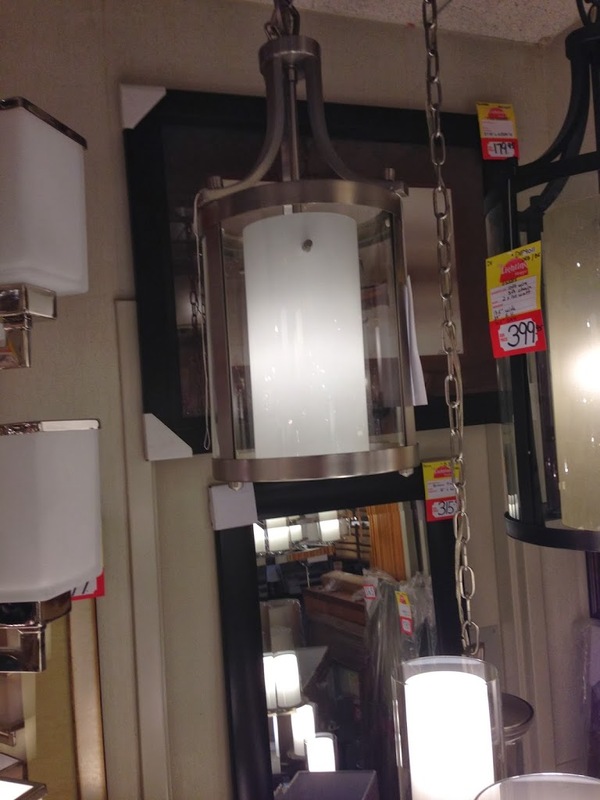 Below is its matching latern which will hang on the stairs to light your way up. Something about picking out all of these made the house very real. Changing out the light fixtures is one of the first things we did to update “the hole on Pol” court. This felt like a homecoming to Matt and I. Don’t get me wrong, I think my brain bled a bit and I basically came home, put Lillian to bed, had a very large swig of whiskey and went to bed… but it was exciting. We are less than 2 months now to move in and we can see all of this having a purpose. More updates to come!